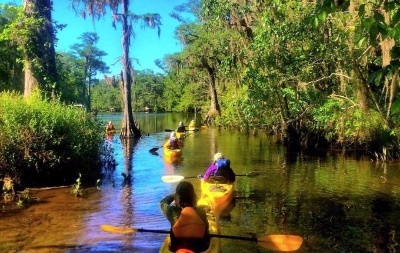 All ground transportation, meals, kayaks, paddling gear, lodging, and two local Adventures in Florida guides. 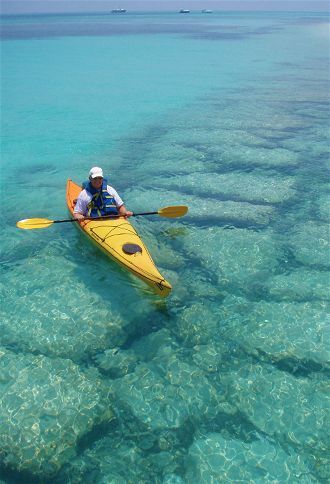 Enjoy island-hopping on fast-moving sea kayaks through crystal-clear water. Experience white sand beaches and exploding sunsets. 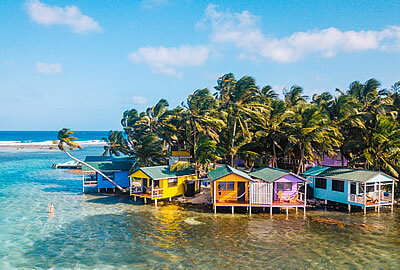 We’ll snorkel reefs, swim with dolphins, and dine on local seafood. We’ll journey from Islamorada to Key West, stopping at Lignumvitae Key, the Dolphin Research Center, and Looe Key. Enjoy a full day in Key West, and discover why Hemingway made this his home. Welcome to Florida’s Tropical Islands. Off the south coast of Florida, nestled comfortably between the Atlantic and the Gulf of Mexico, are hundreds of Keys. Hemingway made these Keys his home for the same reasons we visit them: their serenity, isolation, tropical forests, white sand beaches, crystalline waters, adventure, tropical wildlife, excellent local cuisine, and colorful sunsets. In all your travels you will never see a whole island shut down for half an hour to gather on the docks for no other reason that to toast and applaud the night’s arrival, as you will in Key West. No where else in America will you walk through forests where even the names of the trees seem so magical, gumbo limbo, strangler fig, poison wood, mastic. Day 1 — The leader will meet all participants at the Miami International Airport at noon. If you wish to drive, we’ll send you directions. Plan to arrive by 3:00 p.m. The first meal of the trip is dinner. A moonlight paddle awaits the adventurous. 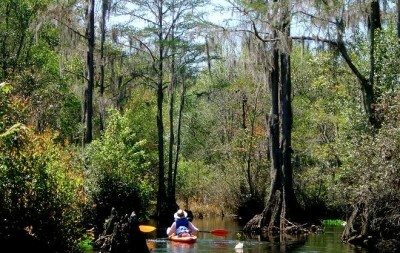 Day 2 —we will travel to Curry Hammock. 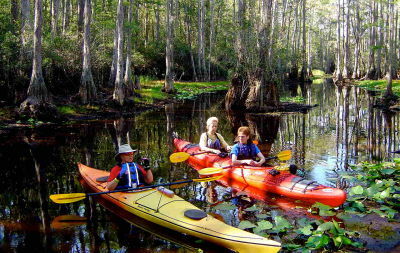 After some instruction we will paddle around the Key discovering dolphins, mangrove tunnels, and the occasional spotted eagle ray. Lunch will consist of an Oceanside picnic. 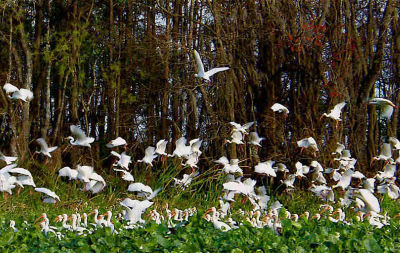 Folks wanting to take advantage of the world class birding (hawks) at Curry Hammock will have plenty of time in the afternoon. 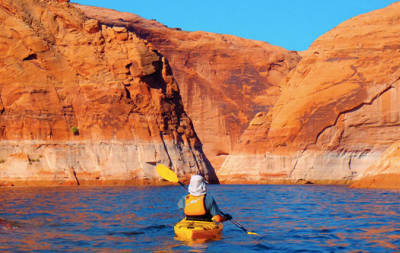 Day 3 — Takes us to John Pennekamp for some underwater adventure. 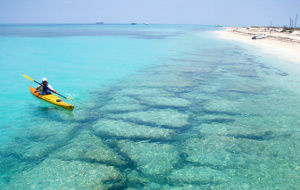 Our primary activity will be snorkeling, kayaking, and a picnic on the beach. On the way back to our cabins we will stop in Marathon and visit the amazing Turtle Hospital. Day 4 — Will find us at Lignumvitae Key State Botanical site, the only virgin tropical forest remaining in the Keys. 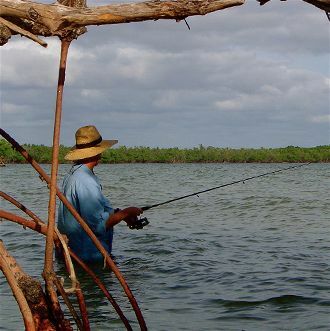 After our picnic lunch we will hone our skills by paddling to Indian Key for a picnic lunch, snorkeling, and exploration of the Indian Key Historical Site. 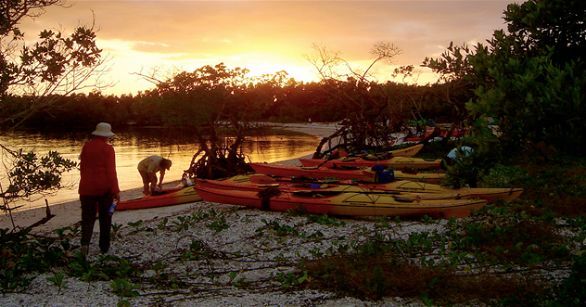 In the evening, we will have a sunset paddle through a mangrove labyrinth. Day 5 — This morning will be spent snorkeling and beach-combing Bahia Honda state park. Once the sun gets high overhead we will take the boat ride out to Looe Key Marine Sanctuary for an afternoon of snorkeling on one of the Keys finest coral reefs. Day 7 — Saturday we begin the day with a morning paddle and a huge breakfast. There will be time for a morning hike or swim before departing from our tropical retreat. 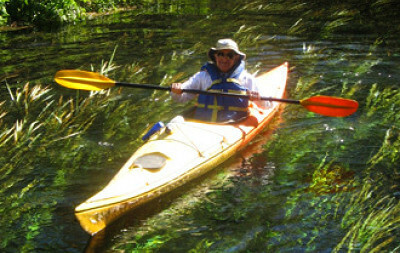 Sea kayaking barrier islands is physically challenging and participants should be in good shape to enjoy such a trip. In coastal Florida, storms of huge magnitude can appear quickly. Alternative activities are planned in case of extreme weather. 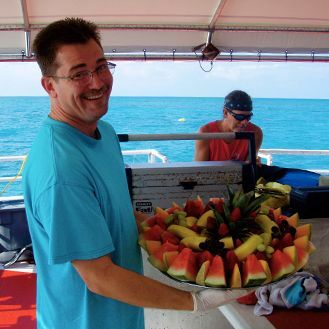 Meals will be prepared by your trip leaders using fresh local ingredients. Being in the Keys, expect food from the sea. Our lodge for the week will be the private bayside cabins at Bahia Honda Key. Rooms are double occ. And come fully furnished with a kitchen, modern bathrooms, and air-conditioning.